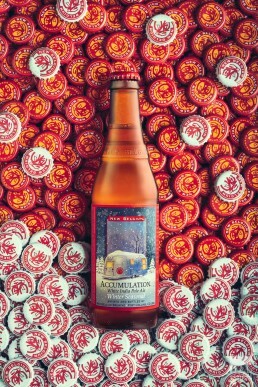 This portfolio image was created with nothing more than a six-pack of New Belgium’s Accumulation Ale and bunch of spent bottle caps. A few hours of setup and lighting adjustment, and a few hours of image processing/retouching. Here is a behind the scenes look at how I created this image.